All of the latest news from Mj Castles! New Bungee Run For Hire In Liverpool, Wirral and Widnes. 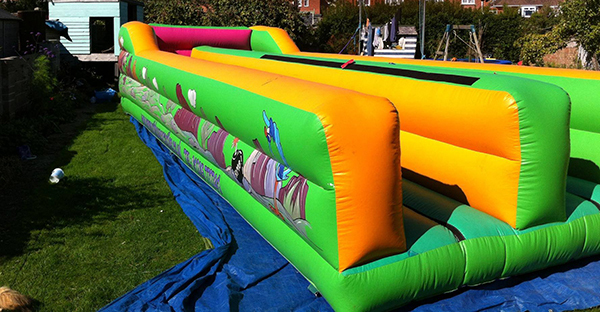 Here is our new inflatable Bungee Run which Is great for all the schools any big events you may be organising or holding. The objective of the game is to compete against a friend team mate next to you. You have to run as quick as you can and place the velcro pad nearest to the end of the bungee run which is not easy when you have a bungee cord pulling you back. This is great fun for everyone to enjoy.